Keep your packed lunches chilled in your office drawer or cloakroom with this pack of 3 Reusable Mini Ice Packs. 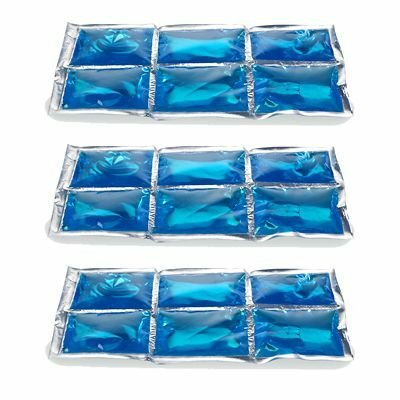 Containing a non-toxic food-safe gel, these mini ice packs will keep your food chilled for hours, and at the end of the day, they can go back in the freezer ready for tomorrow. If you buy this product from Lakeland and you’re not 100% satisfied, you can return it for up to 3 years – proof of purchase is necessary. 10 x 17cm (4″ x 6 3/4″).